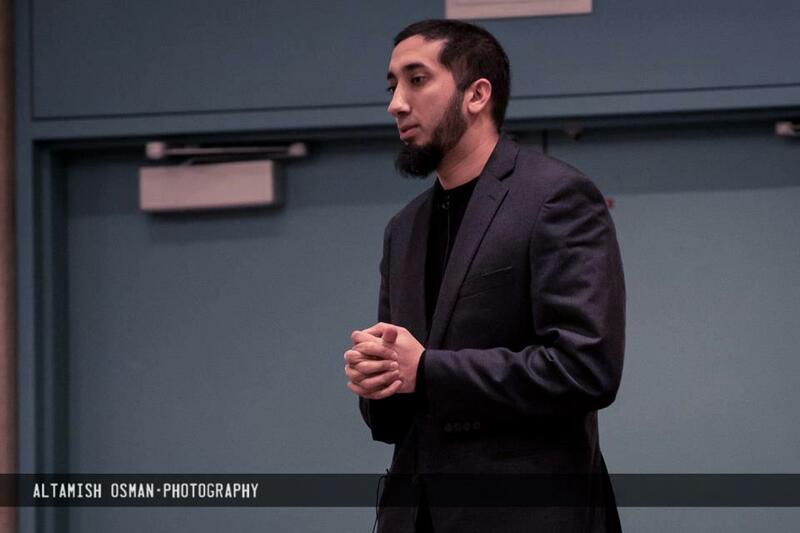 Nouman Ali Khan, the dynamic, popular American Islamic speaker had just finished his captivating Friday sermon on husn al dhan, having a good opinion of others, at the Metro Convention Centre, Toronto, Canada. It was one of those talks that, as soon as it finished, you see people turn to each other and just slowly nod their heads in unison, as if to say: Yeah, that was good! After the prayer had finished, my friend Zakaria and I got up and started to walk towards the bazaar, which was in the same large hall as the prayer area. As we walked off, we noticed a graceful-looking figure behind us. Crowds were starting to surround him. Young men, all wanting to shake his hand and talk to him, gazed at his luminous face in a state of humility. This saint-like figure was Shaykh Mokhtar Maghraoui, a man who instantly radiates a sense of composure, gentleness and love. He was wearing a white, Moroccan Djellaba, or robe, with black stripes and a white turban fitted nearly around his head. After he greeted everyone around him, he turned his whole body to me, as if to give me his whole being, looked penetratingly into my eyes, shook my hand and gently hugged me. Our encounter was brief, yet powerful. For those few seconds he seemed to devote himself to me, uninterested, it seemed, in anyone else. “He [Shaykh Mokhtar] has a presence,” Zakaria whispered into my ear as we walked off. This experience was the beginning of a refreshing and illuminating three days at the Reviving the Islamic Spirit conference, also known as RIS, last week (Dec 28,29,30). RIS, now in its 12th year, attracting almost 30,000 people, began in 2003 with a vision: reviving the Islamic tradition of education, tolerance and introspection. Since its beginning, it has seen a wide range of speakers attend. 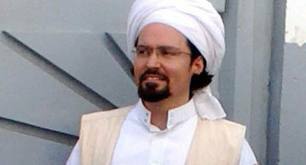 While some ultra-orthodox Muslim puritans like Dr Zakir Naik and Dr Bilal Philips attended in its early days. It has now come to be dominated, due to popular demand, by the likes of Shaykh Hamza Yusuf, Imam Zaid Shakir and other like-minded scholars – promoters of Islam’s inner, spiritual essence, or Tassawwuf. In fact, the names that come to RIS every year are impressive and inspiring. Scholars like Habib Ali al Jifri, Tariq Ramadan, Dr Seyyed Hossein Nasr and popular female speakers like Yasmin Mogahed, are among the luminaries that came this year. While most of the talks were on spirituality, others, like Ramdan’s and Dalia Mogahed, who was selected by President Obama as an advisor, were on the political situations in countries like Egypt. One of the best things about RIS is that there isn’t too much going on. It’s literally just one great speaker followed by another, for three days straight! There isn’t an overdose of speakers either, just the best, the crème de la crème, some of the greatest Islamic minds of our time sharing gems of wisdom. There were even a few non-muslims who embraced Islam during the conference. But what’s especially important is not just the calibre of the speakers, but who they are as individuals and the message they promote. The talks at RIS frequently mention love, respect and kindness to all, no matter what religion, background or place of birth. Imam Zaid Shakir even said: “We [Muslims] need to just accept any abuse we face by non-muslims.” He went on to highlight the Prophetic patience of Muhammad, peace be upon him, when faced with hostility and rancour by his detractors. RIS is an initiative run by the youth of North America. Many of the talks are therefore largely directed towards young people. 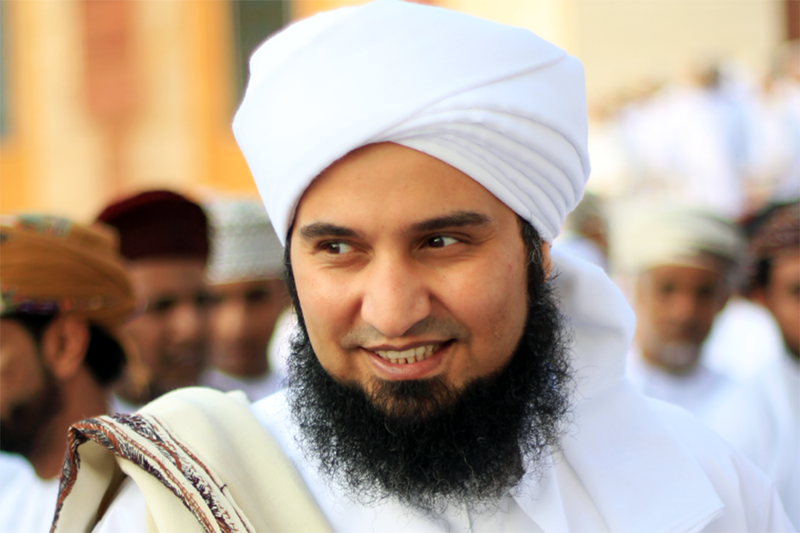 Habib Ali al-Jifri, a descendent of the Prophet Muhammad and a popular Islamic speaker from Yemen, is a scholar who regularly denounces extremism. He often expresses his sadness of how Islam, the religion he believes to be essentially and fundamentally about love, has been tarnished and even hijacked by those with more sinister motives. “We apologise to the youth, because for years all we have done is talked about all the conflicts taking place in the world. Forgive us if we talked about jihad outside of its context and made lives seem as if they are not precious to God,” Habib Ali said. This was, of course, a reference to many of the modern-day Muslim puritans, literalists and extremists who believe it is okay to kill indiscriminately in the name of religion to achieve a religious/political goal. Throughout the three-day conference, there were many pieces of advice for the Muslim youth and, of course, their parents. “We assume our children’s Islam will be on autopilot as they grow up,” said Nouman Ali Khan, adding that parents need to make sure their children’s intellectual problems with Islam are addressed. How? By having a deeper understanding of the religion and a depth to one’s spirituality. Imam Suhaib Webb, from Boston, US, another very popular figure among young Muslims in the West, said: “We teach our kids to pray with a sense of identity, not a sense of intimacy. My teacher told me that having intimacy with Allah during prayer is a form of paradise in this life.” Habib Ali made the point that: praying shouldn’t be done out of a sense of duty, with the idea that, ‘If I don’t perform it, I’ll go to hell’. The highest station of prayer is love, where one prays out of love for his or her Beloved, seeking intimacy and closeness. One of the more interesting talks was given by Shaykh Hamza Yusuf, probably one of the greatest Muslim minds in America. He gave a talk on popular “occulture” – and the poisonous ways in which TV, films, music and computer games are, not only damaging and darkening the minds of millions, but progressively getting worse. What was interesting, though, wasn’t so much the content of his talk – much of it is well-known – but the very fact that Shaykh Hamza gave a talk on such a topic, a topic often seen as crossing the boundaries into “conspiracy”. Of course, the topics are given to the speakers, but Shaykh Hamza could have declined if he really wanted to. Since 9/11, Shaykh Hamza has calmed down his rhetoric, indeed, many of his talks before 9/11 would, today, be regarded as quite radical. For him, then, to come out and give such a talk – for example, calling Zain Malik from One Direction a “minion” – was surprising. He also ended the talk by saying “Allahuma balaght”, which basically means “Oh Allah, I have conveyed the message.” This was quite striking, as it’s something I’ve never heard him say before. It gave an eery impression that he may now slowly stop giving public talks (although I doubt it), or perhaps it’s because he felt a pressing need to give such a talk and, having done so, felt he had performed a duty. For those who have kept up with Shaykh Hamza’s life, he definitely seems to have aged significantly over the past couple of years. Many are also saying that he doesn’t seem to have the same enthusiasm as he once did and often appears withdrawn at times. But it would be a great injustice to deny him of the title, in my opinion anyway, as one of Islam’s modern-day mujadids, or religious renovators, of recent times. Indeed, after having met him in person, my admiration for him heightened, largely because of his down-to-earth nature. The three days were calm, relaxed and insightful. Unlike many other Islamic conferences that attract large crowds and are often hectic and a little tense, RIS has a different vibe. Zakaria even mentioned that there is an “angelic presence” he feels at RIS, especially on the final two nights when the halls are packed with souls coming together to learn. While RIS was a great way to ring in the new year, leaving many inspired and spiritually motivated, Imam Webb left an important message. “We are event based Muslims… we go to RIS and our imaan [faith] is high.” So he encouraged the audience to go away and act on some of the things they had learnt. Among the most important, he said, was a need for a change of attitudes at Mosques. Muslims need to stop police patrolling at Mosques, obsessing with what others are wearing, and become more merciful because they are driving people away from the Mosques and Islam, especially women and converts. Instead, more needs to be done to attract people to the Mosque. Imam Webb recently gave a sermon on the popular TV show Breaking Bad, which even caught the attention of non-muslims. Salaams. It was great you managed to see a few of the sheikhs in the bazaar and yes, Sh Maghraaoui does radiate a calm presence. However, I have also attended previous RIS, and this year it seemed a bit tame when compared to previous years. This a great article reflecting many of my own experiences watching the RIS Convention through Livestreaming from the UK. In my mind, RIS is the best Islamic Convention in English in the World. This is not only because of the excellent of speakers but because of its beautiful ambience and noble objectives to spiritually educate rather than wholly entertain or promote sloganistic rhetoric. In the UK, we usually to stay awake until the early hours if we wish to see the speakers live. RIS is probably only Convention where myself and my family be prepared to do that.